Photo courtesy of Texas Parks & Wildlife. 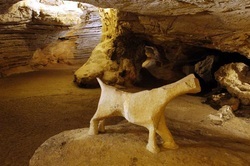 Visitors can enjoy primitive backpacking, camping, hiking, technical rock climbing, picnicking, geological study, bird watching, and star gazing (minimal light pollution). 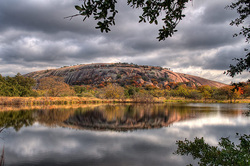 Remember, at Enchanted Rock State Natural Area, do not disturb plant or animal life, geological features, or Indian or historical artifacts. 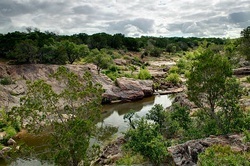 Image courtesy of Texas Parks & Wildlife. 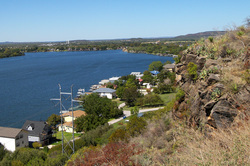 View water conditions & fishing information here.